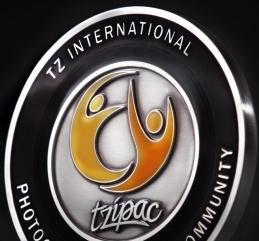 Copyright: Copyright in all images and artworks submitted to any TZIPAC competitions will remain with the photographer and artist. However, the entrants agree to grant TZIPAC permission to use submitted artworks for promotional purposes, without further permission or remuneration. TZIPAC and 43mm Magazine is seeking the finest in wedding and portrait photographic arts from around the world for our upcoming Exposée. – any other creative sessions where images are specifically created for the wedding clients to celebrate their nuptial. Portrait Category (aka People and Animals): Images submitted into this category can be commissioned or non-commissioned, i.e. personal work is allowed. You may only submit up to 10 entries in each category online as digital photographs. Image requirements: JPG/JPEG format, 8 bit, 1500pixels on the longest side, 72 dpi, and have maximum file size of 500KB. Colour space should be RGB or sRGB. Images must not have border, or any marks or logos that can identify the artists.